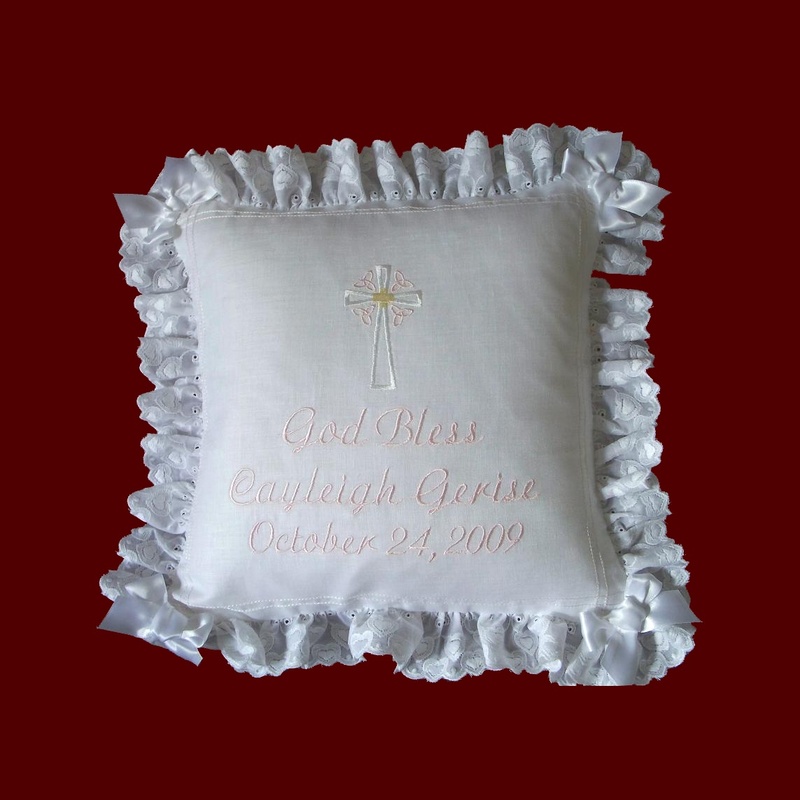 Irish accents may be added to all products on this website and include tiny white or kelly green shamrock appliques, white Claddaugh applique and embroidered Celtic crosses. 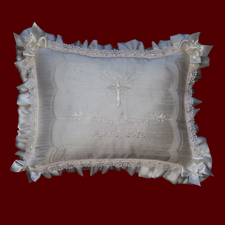 "May The Lord Bless You Always" Christening Pillow. 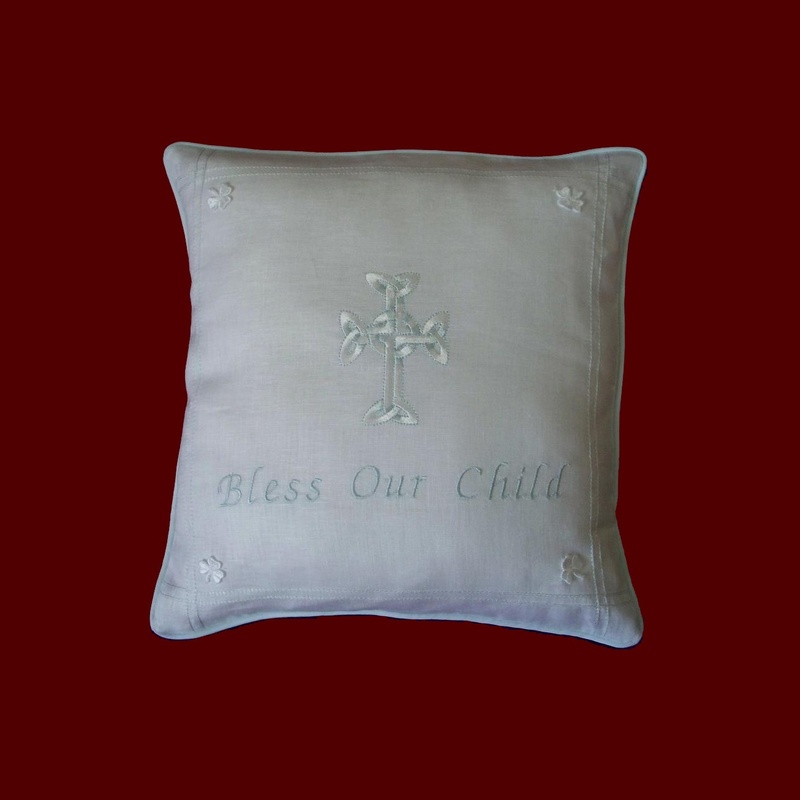 Bless Our Child Boys Christening Pillow. 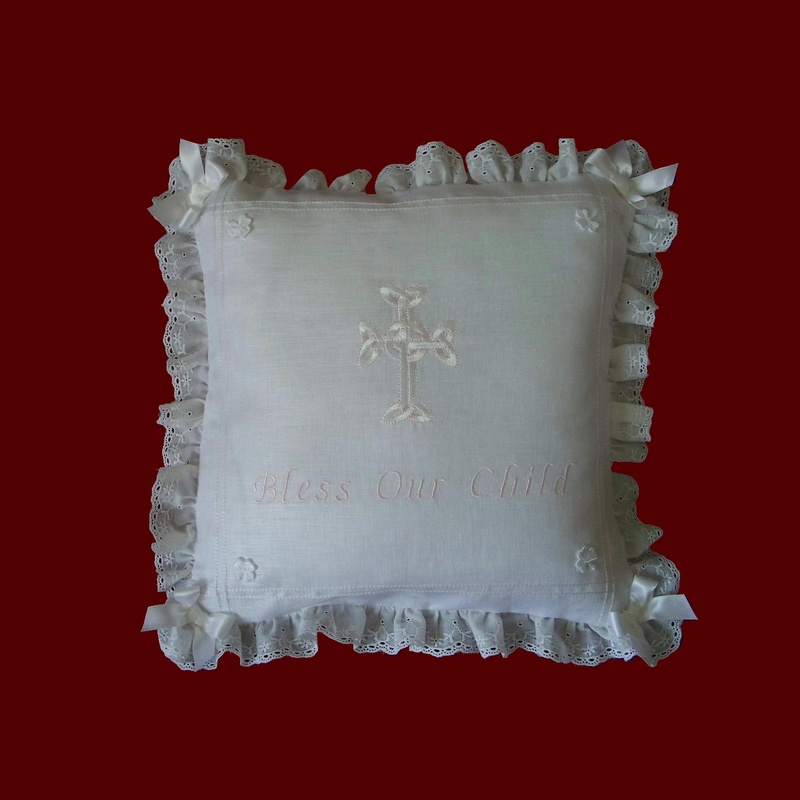 Bless Our Child Girls Christening Pillow. 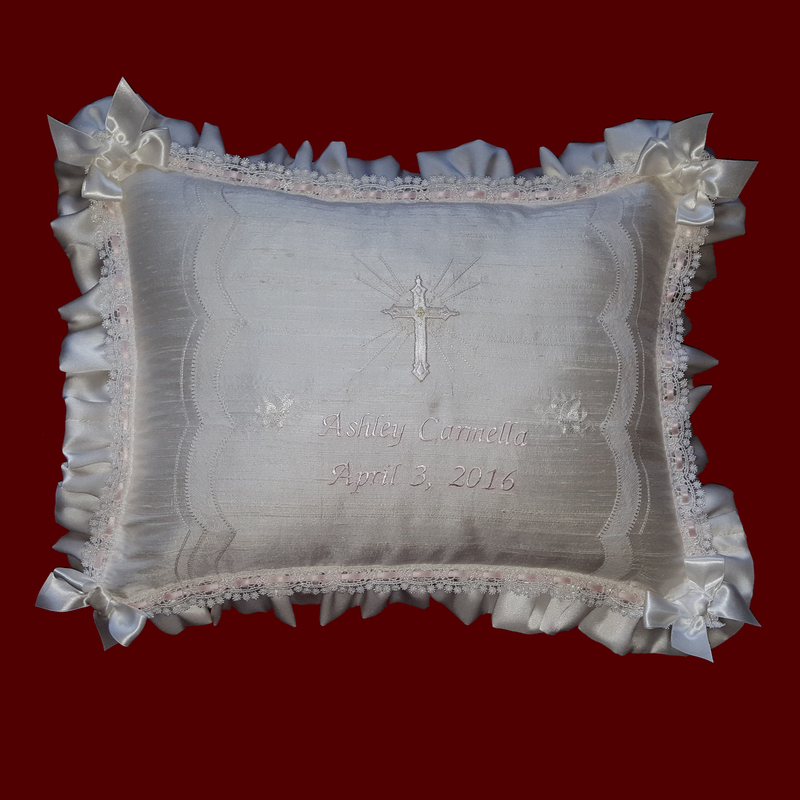 Personalized Christening Pillow With French Lace Scallops & Venice Beading.